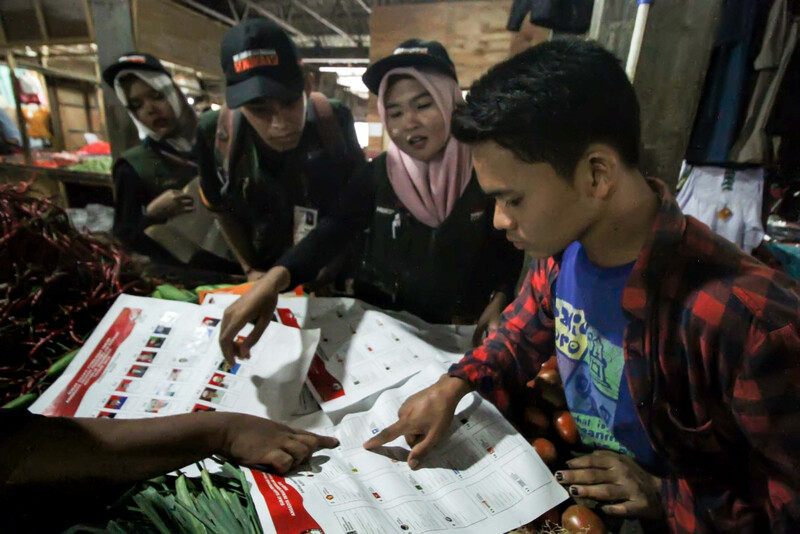 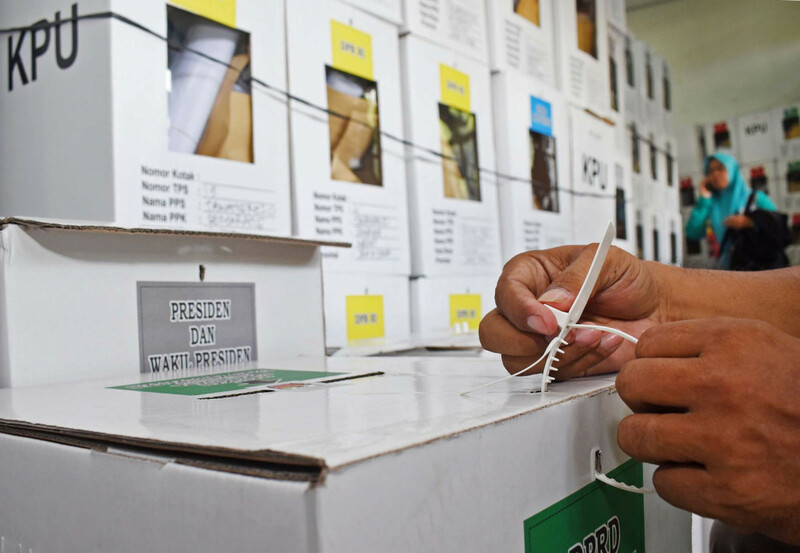 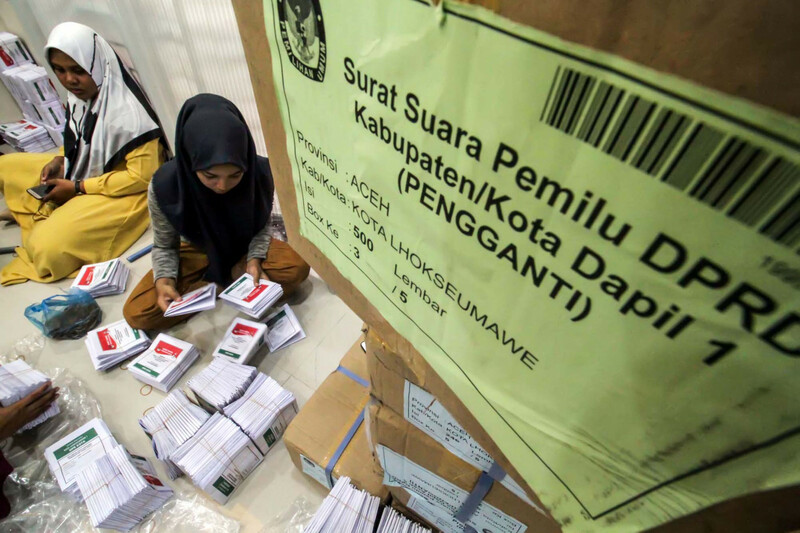 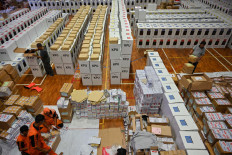 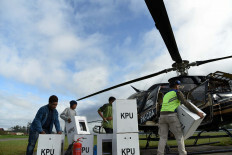 Temanggung General Elections Committee (KPUD) workers fold ballots for the 2019 elections at the Bambu Runcing sports hall in Temanggung, Central Java, on April 1. 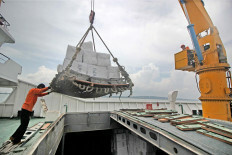 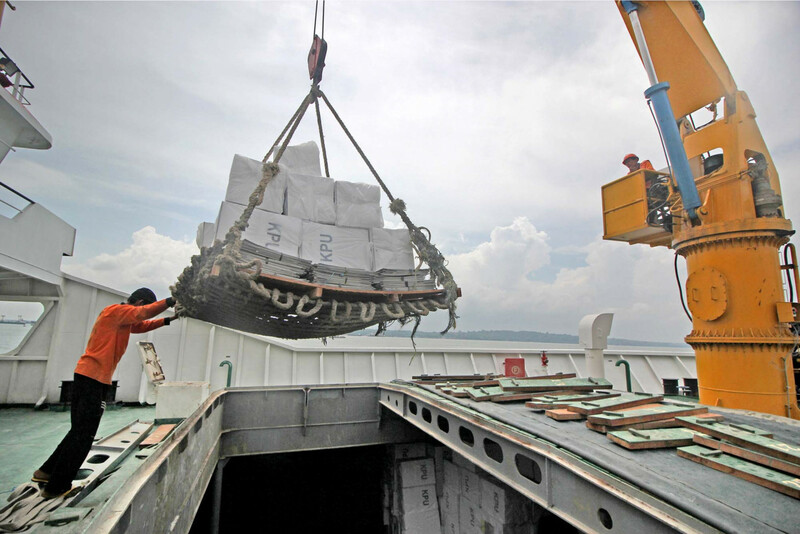 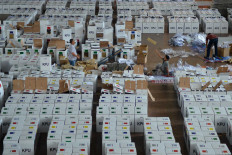 As many as 350 residents were employed to prepare the materials. 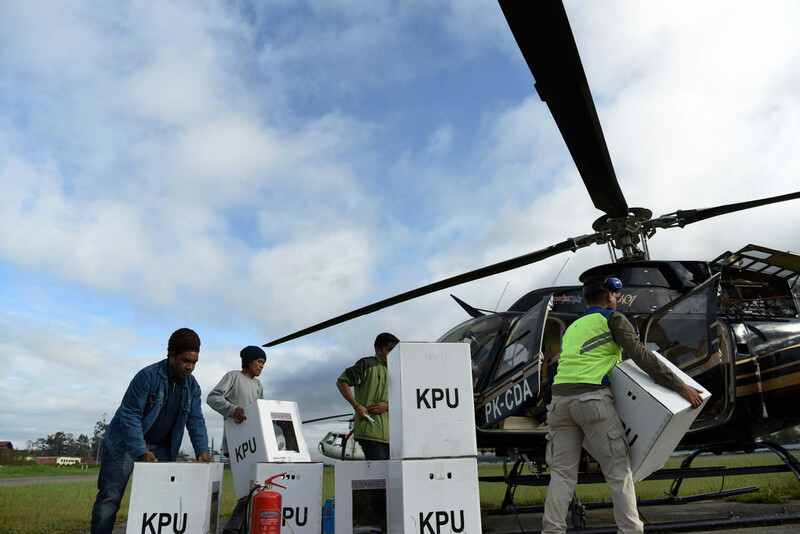 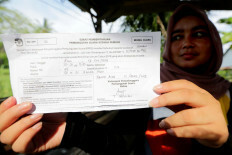 On Wednesday, approximately 192 million Indonesians will go to the polls and cast their vote for president and vice president, as well as representatives in the House of Representative, Regional Representatives Council (DPD) and both regency and provincial Regional Legislative Councils (DPRD). 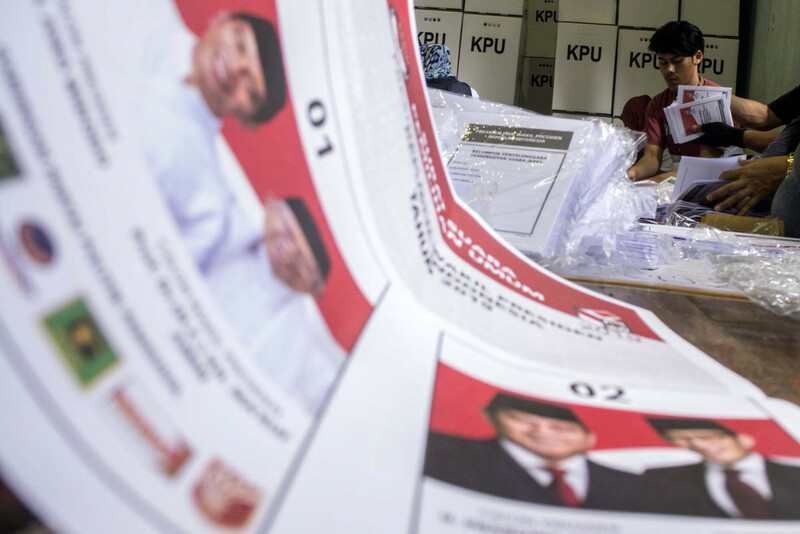 This is the first simultaneous elections in the country’s history. 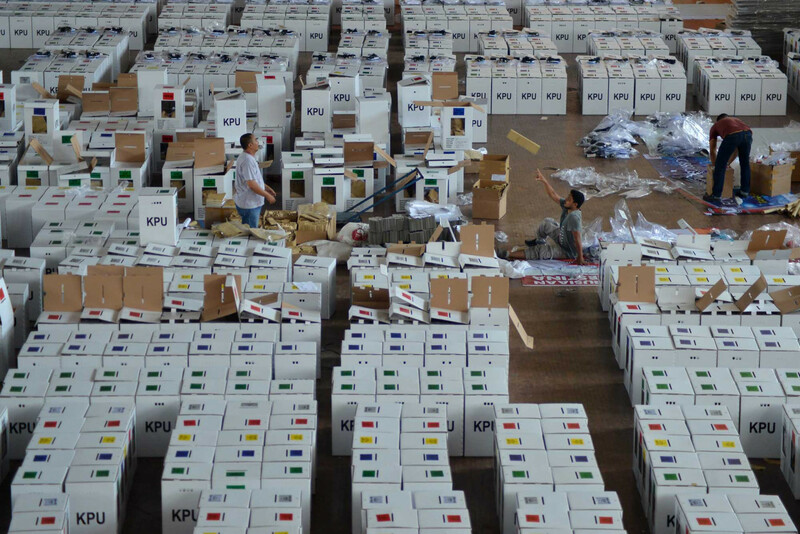 All requirements, from the ballots to ballot boxes, were prepared long before the campaign period began. 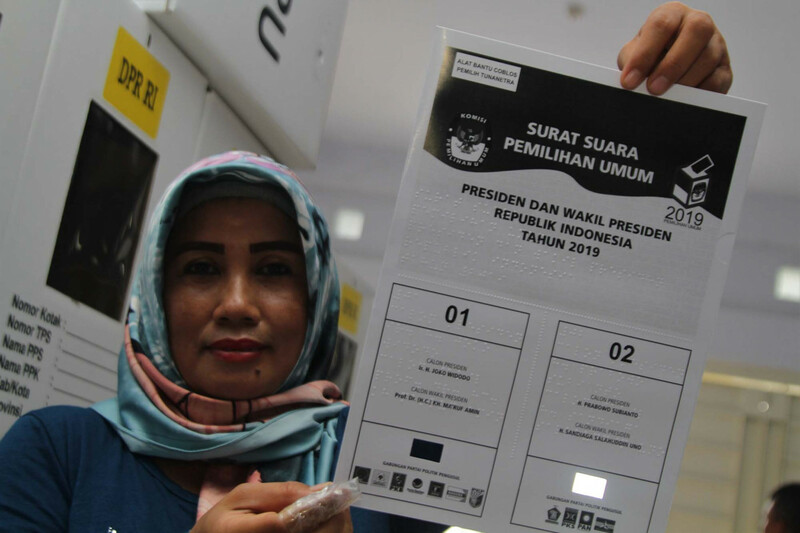 In addition to the materials, a final voters' list (DPT) has been available online for months, allowing voters to check for their polling station and register for an A5 form should they wish to cast their vote somewhere else.